Winter mode is on. After we have passed Oktoberfest, it is time to dress cosy and warm. The German weather in fall and winter is cold, wet and trist, so get out your coats and sweaters. 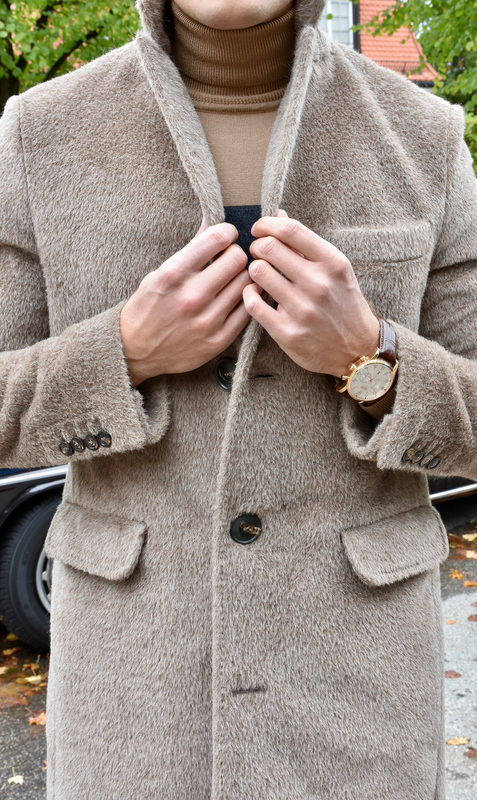 The right coat is an outfit in itself, a practical and stylish piece that is also a timeless trend. Pick one with huge comfort as it is getting cold and wet and of course you want to look stylish but more important is that you want to stay warm and dry. 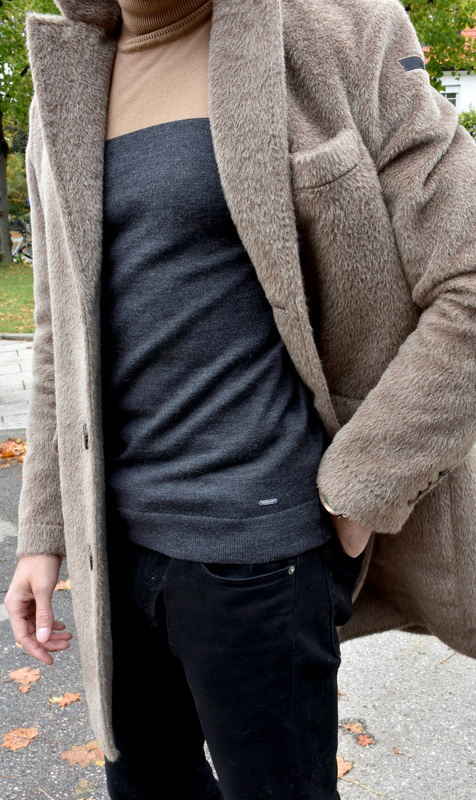 In my casual autumn outfit of the day I´m wearing the perfect „nasty weather“ material. 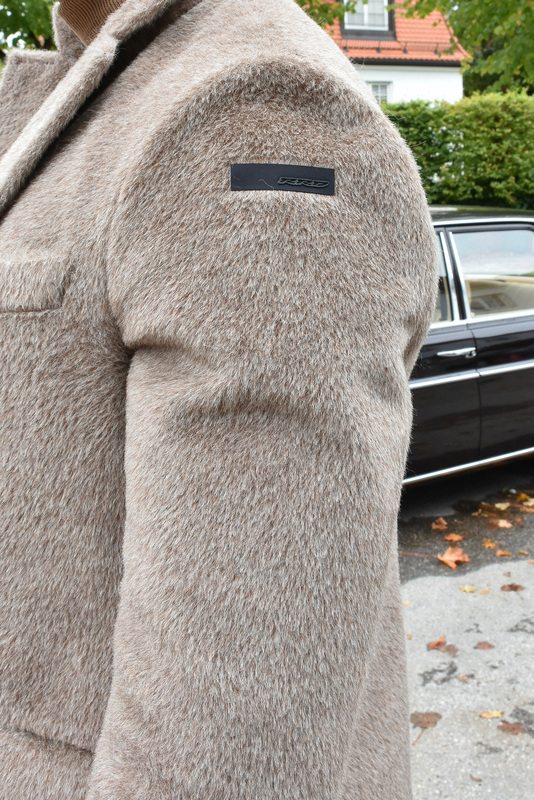 The RRD Roberto Ricci Designs ALPACA COAT is a three-button coat and comes in a double layer system. The special fabric keeps you dry and comfortable from the inside to the outside. „An impenetrable layer protects you from water and wind, allowing your body to breath at the same time. It is made with holistic waterproof technology. The external shell is alpha fleece (75% WP sure and 25% wool) combined with an internal elastic, polyurethane membrane which is wind and waterproof and ensures a resistance to a water column of 10,000mm“ like RRD indicates. Since it is not too cold yet, and I personally prefer to keep jackets open as long as possible, I combined the outfit with a wonderful two colored turtle neck from Marciano Los Angeles, a pair of black denim Levis 512 and camel suede Chelsea boots.